COLUMBUS – One of Ohio’s leading voices for faith, family, and freedom is ramping up its work at the Ohio Statehouse by growing it legislative team and opening a downtown Columbus office. Josh Brown has joined the Citizens for Community Values team to lead the organization’s legislative efforts. As the new Legal Counsel and Director of Public Policy for Citizens for Community Values, Josh will focus on working with lawmakers to protect life, build up families, promote parental rights and school choice, and protect religious freedom. “Josh brings a wealth of experience to the CCV team, along with a deep passion for our mission,” said Aaron Baer, President of Citizens for Community Values. “With strong leadership throughout Ohio, we have an amazing opportunity in front of us to advance the pro-life, pro-religious freedom cause in our state – and Josh will be key to leading these efforts with the General Assembly. Before joining CCV, Josh was an advocate for the Ohio Municipal League. 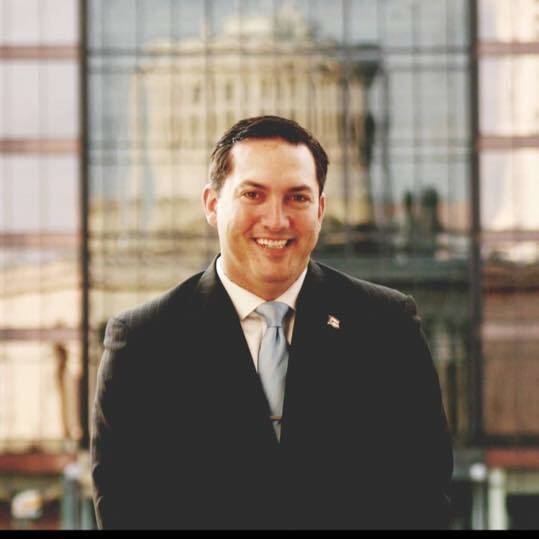 He has also worked in the U.S. Senate, dozens of political campaigns, the Ohio General Assembly, and is an experienced attorney. Josh received his Juris Doctor from the University of Toledo College of Law and a B.A. in Political Science and Economics from The Ohio State University. He is also a combat veteran who served in the U.S. Army. Along with growing the team, Citizens for Community Values has also opened a downtown Columbus office. “Opening a downtown Columbus office is central to our growth plans for CCV. Not only does it allow us to work more closely with our elected officials, but it also allows us to reach all corners of the state more efficiently, especially come election season,” said Aaron Baer. For questions or further comments, contact CCV, info@ccv.org or 513.733.5775. Citizens for Community Values works to create an Ohio where God’s blessings of life, family, and religious freedom are treasured, respected, and protected.